Signage is an advertising and branding tool that can generate an additional 75% to your customer base and referrals. If you don’t have any outdoor signs in front of your business, even if you have high-quality products inside, you’re not going to be all that successful. Quality signage, on the other hand, can offer all kinds of advantages to your business. By working with a professional sign company you’ll be able to significantly improve your organization’s on-site marketing, strengthen your brand, and actually bring in some more revenue. 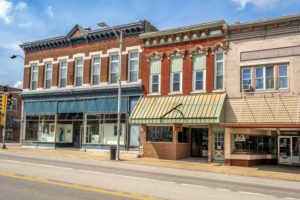 Upgrade your storefront’s appearance — If the exterior of your business looks nice and is welcoming, it will end up attracting foot traffic and new customers into your store. Custom banners and signs are great for enticing potential customers to step into your establishment and potentially make a purchase. Signs require little to no maintenance — If you opt for cool, LED signs, you won’t have to worry about maintenance too often. These signs are built with highly resistant materials and can withstand years of use and exposure to the elements. Whatever kind of sign you purchase, as long as you’re buying from a reputable sign company, they will likely last and look great for years. Promote all kinds of events — Signage is great for much more than simply saying “Open.” No matter what kind of business you’re running, you can use quality signs to promote all kinds of products, special events, or whatever message you want to convey to your customers. Whether it’s a grand opening or a funny joke written on a sign, use these products to promote anything you want! If you want to learn more about how custom sign designs can give your business a boost and work with an experienced and professional sign company, give Shamrock Signs a call right away! This entry was posted in Blog on April 18, 2019 by srs_webadmin. What is High Quality Signage? Before selecting a company, high quality signage must be understood. Half of a business’ new customers are attracted by high quality signage. Between 13% and 20% of the population move each year making outdoor signs necessary for attracting new customers. People remember a business based on their sign. A sign is the first impression of a business and a high quality business will have high quality signage to draw in their consumers. For the best results, business signs should be strategically placed so they are easily visible from the road. 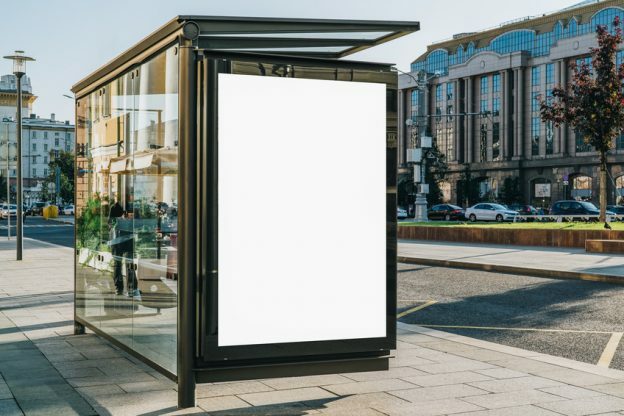 Over 70% of people look at messages on roadside advertising. The sign design should be aesthetically pleasing with a concise representation of the company logo, tagline, and message. Vibrant coloring, clean lines, and a sleek design will draw in the curiosity of customers. Finding a high quality signage company can assist in creating an attractive custom sign. Almost half of people say poor signage can deter them from entering a business. Statistics say commercial signage on-site is the equivalent of 24 full-page newspaper ads every year so it is important to find a sign company who understands the importance of custom sign designs. When looking for local Pittsburgh sign companies, there are three traits to consider before choosing a sigh company. Design and Experience: A professional sign company will understand the importance of a signature custom design. They should be willing to work with the business to design signage that will accentuate the company logo. They should also be able to quickly assess the best placement of the sign to attract the most attention. Permitting: Most cities and towns have regulations for outdoor signs and the sign company should be readily familiar with zone restrictions. Knowing off hand what is acceptable will make the design process more efficient. If lighting is to be used for increased visibility at night, electrical regulations will need to be considered. Installation, Quality and Maintenance: The design company should offer sign installation services. This ensures the sign will be properly installed in its designated place. High quality signage should be made from durable material built to withstand outdoor elements. The material itself should be within codes and regulations of the city as well. This will cut down on sign repair and maintenance. In the event the sign is damaged or in need of repair, the sign company should willingly offer maintenance services. It might not seem like it makes all that much of a difference, but the quality of your company’s signage is actually extremely important. Poor signage can hurt any business, even if you offer excellent products, services, and have an otherwise stellar reputation. For newer businesses, signage is even more crucial. In fact, signs attract 50% of a startup’s new customers. You have to do more than simply set up a sign or two out in front of your shop, however. You need to get a little creative with your signage design. 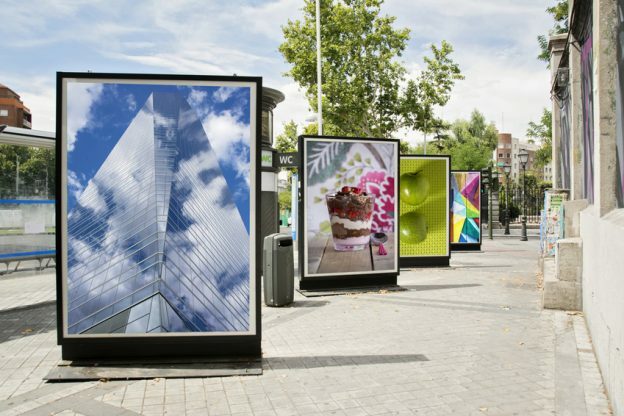 According to Vivid Impact, roughly 60% of businesses reported that changing the design or enhancing the visibility of their signs had a positive impact on sales, number of transactions, and profits — with an average increase of about 10%. Focus on entertainment — The main purpose of commercial signage is to simply get people to enter your business, but don’t ignore the importance of entertaining your guests. Signs that grab the attention of passersby are much more effective than boring, conventional, black and white sandwich signs. Don’t go too wild, but some cool color schemes, a funny joke or quote, and some pictures will certainly help. Advertise special deals and events — Welcome signs are crucial, sure. But whenever you have a special promotion or event coming up, bust out some new high quality signs to advertise your business. Whether it’s a grand opening of a new store, a great deal on a featured product, or you’re marketing an upcoming event, signage is a great option. 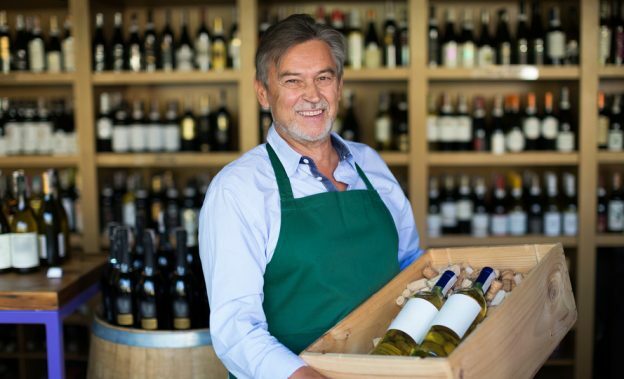 List some FAQs — If your customers frequently have a lot of questions when visiting your establishment, listing a few commonly asked questions and answers on a sign out front is a great way to help clear the air before they are ready to spend money. Obviously, you can’t answer everything on a sign, but it’s a good way to have more engagement with customers and prospective buyers. If you want to learn more about creating custom sign designs and purchase some high quality signs to boost your business, give Shamrock Signs a call today! This entry was posted in Blog on March 19, 2019 by srs_webadmin. Your business could have amazing products or offer unmatched services, but if your advertising isn’t up to par, it’s not going to matter. You need people to know about your organization and you need them actually walking into your establishment, ready to do business. That’s where sign installation comes into play. 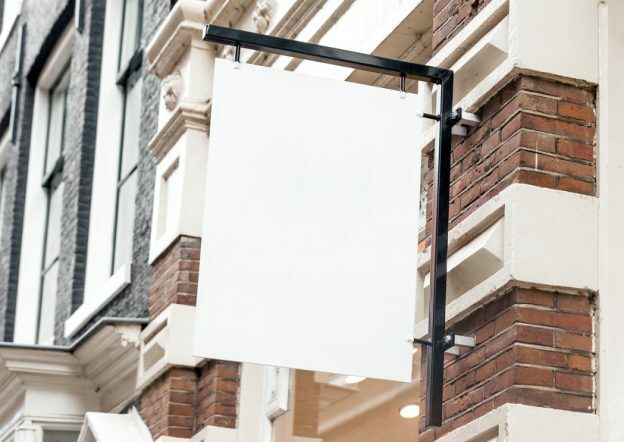 It sounds simple because it is, but far too many U.S. business owners neglect their storefront signage. Having poor quality signs or no signage at all might save you a buck or two at first, but it will cost you a lot more in the long run. Signs get your business noticed and get people in your doors. 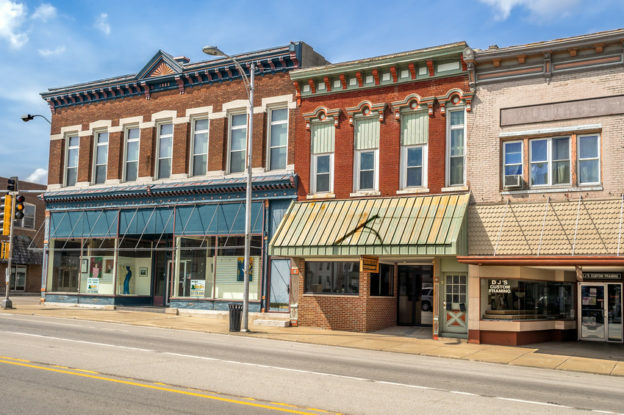 Local Recognition In the Community — Approximately 85% of companies’ customers live within a 5-mile radius of the business. Those customers are likely to see the signs out front for that business 50 or more time a week, which is a great way to keep your company on the mind of your local customers. Increased Property Value — Sign installation won’t just bring in more customers, subsequently leading to higher revenue earnings. Quality signs will actually increase your company’s curb appeal, which will have a major influence on the property’s resale value. Cost-Effective Marketing — Solid marketing strategies provide exceptional results and having nice, custom signage is no exception. Compared to other types of advertising, signage is one of the best ways to promote your company and brand, bring in new customers, and improve your business. Custom Design Offerings — Though simply having a sign that says “Open” actually helps entice customers into visiting your business, getting a little more creative with your signage will offer significant advantages. People respond to creative imagery and will love seeing more eccentric designs out front. Colorful and fun signs work great — so get as creative as you want! If you want to learn more about some of these excellent benefits of having custom signage out front of your business or work with sign installation professionals, give Shamrock Signs a call today! This entry was posted in Blog on March 16, 2019 by srs_webadmin. As a business owner, you probably understand the importance of effective promotion. If you want to advertise your company to the fullest, you’ll need to (at the very least) have some high-quality business signs that alert local residents to your presence in the neighborhood. Commercial signage might seem like a simple endeavor, but you’d be surprised by how many businesses make mistakes in this area. Avoiding those mistakes should be a top priority to ensure your own success. Here are just some of those missteps. Large-scale outdoor signs should instantly communicate your brand and your message. Unfortunately, that message can easily be misunderstood if you try to say too much in a relatively small space. These kinds of commercial signage should essentially contain your business’s name, logo, and (in some cases) a tagline. Any additional elements will make your sign confusing to onlookers. Keep in mind that even if you stick to only three components, your sign could still have an overly complex design. Using a hard-to-read font, utilizing too many colors, or including overwhelming graphics could really muddy up your messaging. As a general rule, keep it simple and effective. There are other means you can use to communicate additional information. If you want to grab the attention of people on the street, you need to make sure your sign is illuminated. That doesn’t necessarily mean your signage needs to contain neon colors, but it does mean you can’t rely on a sign that’s completely unlit. Remember that 83% of business owners that purchased LED signage noticed increases in sales. Your commercial signage may have built-in lighting elements installed or you may need to utilize separate spotlight-style bulbs to throw focus on your sign when it’s dark out. No matter what method you employ, you’ll just need to make sure that passersby can easily view your sign no matter what time it is. Otherwise, they may never even know you were there — and you will consequently miss out on foot traffic. Your sign will be only as effective as its location. Don’t neglect to do your due diligence and figure out the best possible place for your signage. If you don’t, you might later realize that your sign was installed behind some obstructions like massive tree branches or it’s blocked from view on the major roadway. Take the time to survey the area surrounding your business from many angles to ensure that your intended placement will be easily viewed to everyone around you. It’s understandable that you need to keep your bottom line in mind. But don’t forget that commercial signage is actually an investment in your business itself. Ultimately, your ROI on your signage will be quite high if you keep the aforementioned tips in mind and choose a reputable sign company. On that note, don’t be tempted to choose sign companies based on price alone. You will end up getting what you pay for — and if you’re paying less than the industry standard, there’s probably a good reason for it. That’s not to say you should pay more than you can feasibly afford, but it does mean you’ll want to consider far more than the final price when making your decision. Now that you know the mistakes to avoid, you’ll have a better idea of what to include in your signage. To discuss your business sign options, please contact us today! We’d love to assist you in this process and make your organization stand out for all the right reasons. This entry was posted in Blog on March 11, 2019 by srs_webadmin. Attention-getting signage is vital to a company’s business. This is especially for new businesses since almost 50% of their first customers are drawn in by signage. 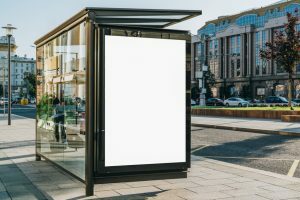 In fact, 79% of people in America report that they recall businesses due to their signage, and 71% state that they notice advertising signs along the road. Having no signage at all can also be detrimental to a business. In studies, 60% of prospective customers reported that this issue has caused them to avoid entering a place of business. Because signage is a method of branding and advertising that can potentially increase your referrals and customer base by 75%, you want to make sure that your sign is doing a good job of promoting your business. When you’re choosing a company to design high quality signage for your business, there are important factors to consider. Before making a final decision, you should try asking the following three questions. 1. Do They Design Custom Signs? You’ll want to know what options are available for creating a custom sign for your company. Will an accomplished designer be available to assist with designing your sign, or will you be expected to create a design by yourself? A great sign company works alongside you to produce exactly what you have in mind. 2. Do They Have the Experience Required? When you’re talking about something as important as your company’s signage, it’s wise to have an experienced professional to do the work rather than risking an unsatisfactory result. Expert commercial sign companies possess the necessary inside knowledge to design powerful, high quality signage for your company. They also understand what is suitable or unsuitable for your type of business, climate, and the surrounding area. 3. Do They Install Your Signage? You need to make sure that the company will also be able to install your signage once it’s been prepared. The top commercial sign companies can not only design your signage, but they also have the capability to install it as well. If they can, you’ll have peace of mind knowing that your sign was properly installed, taking durability and efficacy into consideration. Since 70% of people believe that the caliber of a company’s signage is a reflection of the caliber of a business, investing in the highest quality of signage available is a sound decision. Armed with these three questions, finding the best commercial signage company for you is a much easier task. This entry was posted in Blog on February 15, 2019 by srs_webadmin. Using signs to advertise your business is a key part of any marketing strategy. 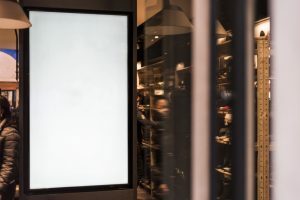 In fact, signs attract about half of a start-up business’ new customers, and 83% of business owners who purchased LED signs noticed a rise in sales. Despite the benefits of commercial signs, it’s easy for a business to mess up their advertising strategy and render their signs ineffective. Sometimes, businesses forget to alter their sign strategy based on whether the sign is located inside or outside. First and foremost, your indoor and outdoor signs should deliver different messages because they perform slightly different functions. An outdoor sign reaches people who might have never heard of your business, so it should include your company name and something pique the interest of passersby. 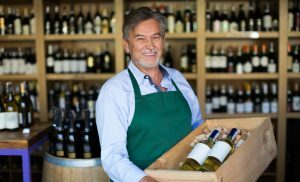 Indoor signs should convey more information about pricing, sales, and the items available — after all, you’ve already convinced the customer to come inside! Take a coffee shop for an example. A cafe’s outdoor sign should hint that the business sells amazing, artisan coffee and espresso. Inside, the messages should explain which roasts are available, while continuously pulling customers “deeper” with hints about quality, affordability, and the general awesomeness of the business. Outdoor signs have to withstand the elements and be visible from a good distance to attract passing drivers and pedestrians. As such, they should be built to last with weather-resistant materials. Schedule regular outdoor sign repair and maintenance to keep your business sign looking fresh and appealing. In comparison, indoor advertisements should include more changeable custom signage. Indoor signs should be easy to take down or alter when new deals or products arrive. Flyers, digital signboards, and even chalkboards might make more sense indoors since your company can easily alter the information it displays. Whatever your business may be, ensure that you adjust your advertorial signage based on its location. While outdoor messages should be a weather-resistant way to attract customers, indoor signs should keep them coming back for more. With these signage tips, your business will be booming in no time! This entry was posted in Blog on January 20, 2019 by srs_webadmin. Whatever industry you’re in, a potential customers’ first impression of your company will likely come from your business sign. In fact, 79% of Americans remember a business based on its signage. A sign is like the face of a business. To keep your company running smoothly, you want to put your best face forward. That’s why it’s so important to design business signage carefully. If a company sign is hard to see or difficult to read, it’s useless. Playing with creative fonts is a great way to tell your brand’s story. Are you a dress boutique offering the latest formal fashions? Then choose a fun, feminine font that suggests elegance. Are you a sub shop that prizes fast service? Choose a bold, simple font to suggest a hassle-free customer experience. While fonts can tell your brand story, remember to select an easily-readable script. If you choose a font that’s too curly or unusual, your customers might have a hard time reading it. Unusual fonts are especially hard to decipher from a distance. Consider mixing and matching fonts on a single business sign– put the most important information in a simple, clear font like Arial. Then, place descriptors in a more fun font to benefit from both personality and legibility. After selecting fonts for your commercial signs, be sure to choose an appropriate color scheme. Like fonts, the colors on custom signs can tell a brand’s story. However, choosing two or three colors that are too similar will hinder sign readability. Be sure to pair light a light background with dark letters, or light letter with a dark background. Otherwise, your customers won’t be able to read your outdoor signs from a distance, rendering them useless. Finally, don’t try to put every detail of your business on a single billboard, storefront sign, or poster. Most people only give signs a passing glance– including much more than your business name and contact information is a waste of advertising space. Pick a catchy phrase, add an image if you want, but keep the focus on your business name. Don’t worry, customers will come. Make sure your sign is easy to read with these three tips. By choosing the right font and color, and by keeping your sign simple, your customers will better remember your unique business. For more information about high quality signage for your company, contact Shamrock Signs today! This entry was posted in Blog on January 12, 2019 by srs_webadmin. Signs are invaluable to a business. Without signs, how would we know what carries the items we need or how much they cost? For a business, signs are a way to attract customers, advertise sales, and tell the customer exactly what they’re getting. Signs are particularly effective for local business — about 85% of a business’s customers live within five miles in any direction of the business’s location. If signage is done correctly, the customers will probably see signs for it at least 50 times a week. However, it’s not just enough to have signs, you also want to think about what kinds of signs will be most effective for your business — outdoor signs, signs with custom lighting, etc. — and keep up with sign repair so that everything looks as it should. Sign Me Up for a Good Sign! Having on-site signage is just as effective as taking out 24 full-page newspaper ads a year. When done right, signs can offer funny or thought-provoking messages that stop a customer in his or her tracks and get them interested in what’s being advertised. 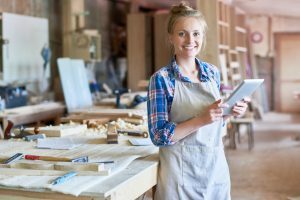 You’ve probably taken a picture of a particularly clever sign and shared with friends or lingered by a store with a good sign — and, the business hopes, gone in or marked it as a place you want to check out later. And high quality signs stand out — you remember them for their color or size and sharp look. It’s a powerful and prevalent advertising and branding tool that can create up to 75% of an additional customer base and generate more referrals. 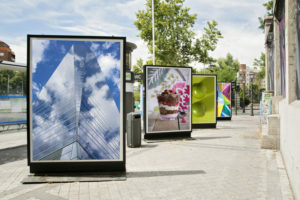 They’re also everywhere — almost everywhere you look, you’ll see a sign — which means that businesses have to be more creative in how they advertise and display their signs, to stand apart from the crowd. What are the Main Benefits of Signs? Distributing Information: If there were no signs, how would we know where to go? Signs help guide us in our everyday life — we use them to drive, find locations, and purchase goods, among other things. It tells us when there’s a sale at the grocery store, helps us find the best bargains for our holiday gifts, and where to find the necessities we require for everyday living. Attracting New Customers: Signs are responsible for drawing in about half of new customers for a business. And because 13-20% of the population moves annually, that means companies have that percentage of new customers to draw in every year with their signs. Indeed, almost 80% of Americans say that they remembered a business because of their sign. Reputation: A sign also can reflect the quality of your business (which is why sign repair is such an important thing to keep up with). 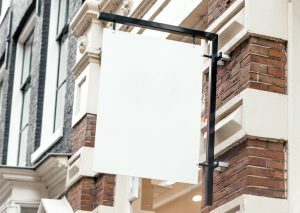 Around 70% of consumers said they believed the quality of a business’s sign was indicative o the quality of the store. And about 60% of consumers said that seeing no signs kept them from going into a store, which is something no business wants! Where Should I Go For Sign Repair? If your sign is looking shoddy or run down, due to weather, time, or an accident, you should definitely be considering sign repair. As mentioned above, businesses are often judged by the quality of their signs and a bad looking sign might keep people away. In some cases, the sign company that installed your sign might be able to come out and fix it — in other cases, you’ll probably want to look at general sign repair stores in your area. Check and see if the place you originally got your signs from offers repair services as well — that can be one of the easiest ways to get what you need fixed. Don’t skimp on your business’s signs. They’re a powerful marketing asset to your business, even if they often work on an unconscious level. Keep them up to date and working properly, and you may find your revenue increasing. This entry was posted in Blog on December 15, 2018 by srs_webadmin. No matter what kind of business you’re running, big or small, you need to first focus on actually getting people into your physical store. You could have the greatest product on the market or offer an amazing service, but if no one ever enters the building, what’s the point? That’s where quality signage comes into play. 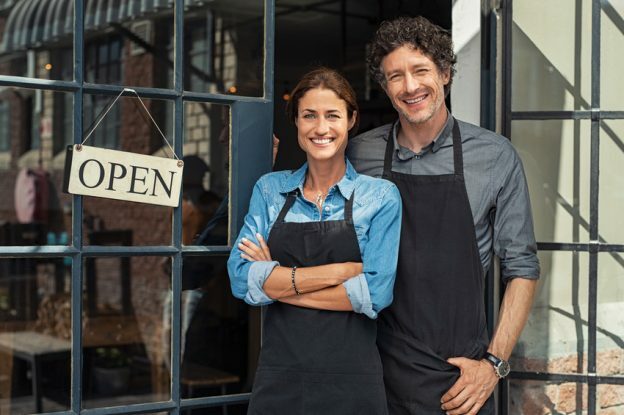 With a nice, bright, and visually-appealing sign out in front of your shop, you can significantly increase your chances of having a much more successful year. Believe it or not, the value of on-site signage is actually equal to 24 full-page newspaper ads every year. Plenty of custom sign designs — You don’t just have to throw a boring sign out front of your business. In fact, that will most likely cause more harm than good. But if you develop some quality custom sign designs, you can showcase your business and brand in a creative and original way, which prospective customers will surely respond well to. Promote your brand — A sign isn’t simply enticing a passerby to walk into your business, it’s teaching them about your actual brand. Because your brand promise will be conveyed on each of your advertisements, you should make sure your signs are neat, bright, and conveys the high standards of your business. Differentiation — An original sign will help your business stand out from the competition and help keep your company top-of-mind with consumers. Drive around some of your competitors and take a look at their signage or lack thereof. If they don’t have any signs out front or have boring sings, you’re already a step ahead, but it’s time to take advantage! Still not convinced? What if you knew that wholly 60% of all consumers have reported that a lack of signage prevented them from even entering a business. Quality signage can be creative and easy advertising that not only works but works year-round — so take advantage of them! If you want to learn more about the importance of custom signage and want to have some of your own custom sign designs implemented for your business, give Shamrock Signs a call today. This entry was posted in Blog on December 12, 2018 by srs_webadmin.